LIVEMINT: A growing number of Indian start-ups, including cab-hailing service Ola, hotel brand Oyo Rooms and eyewear retailer Lenskart, are venturing overseas, as they grow increasingly confident about their business models and their ability to take on global rivals. 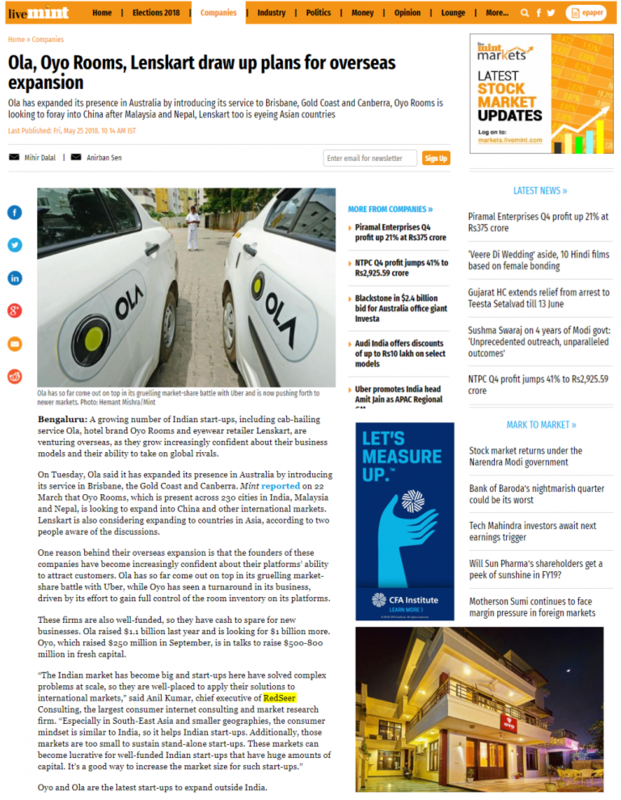 On Tuesday, Ola said it has expanded its presence in Australia by introducing its service in Brisbane, the Gold Coast and Canberra. Lenskart is also considering expanding to countries in Asia, according to two people aware of the discussions.